Among the many changes that fast-evolving technology is causing today, self-driving cars seem to emerge as the most obvious change that is expected to have the greatest impact on our everyday lives. Autonomous (self-driving) vehicle technology was a long-time engineering dream depicted in science fiction cartoons and movies for decades. It is now starting to become reality, potentially moving into your garage in no more than a few years, and bringing about a revolution in the world of transportation. With the advanced technology in self-driving cars come the problems of safety, data security, challenges of development and manufacturing, and issues that we might not even be able to anticipate today. Companies have to prepare for the development of such technology-packed products, and to “future-proof” their development activities in order to cope with the immense amount of (and dependence on) software. The joys of new technology? Sure enough, truly autonomous vehicles can be regarded as revolutionary. You wouldn’t be wrong to compare this technology to autopilot systems in aeroplanes. Except, let's face it, not all of us own a plane while passenger cars are everywhere, exponentially increasing the impact of this technological leap. According to the latest industry analysis, roads in modern cities could look a bit like a scene from The Jetsons by as early as 2020. Before we get carried away with images from futuristic cartoons, it’s a good idea to take a closer look at what exactly is happening in terms of the evolution of vehicles. Several vehicle manufacturers and companies from other high-tech industries are currently engaged in multiple research projects around the world to build self-driving automobiles. Eventually, these cars and trucks will be able to drive themselves from point A to B on the map, with no outside help from the driver. They will communicate with each other through a wireless IoT connection, enabling them to exchange data when necessary – for instance, in order to avoid collisions and other accidents in a matter of split seconds. 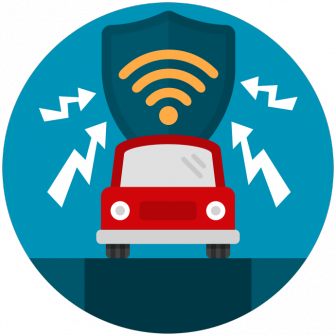 And here comes one of the greatest challenges of developing autonomous cars: not only are manufacturers responsible for the safety of passengers and pedestrians, they also need to ensure the security of all the data generated by the car and shared via wireless connection. If sensitive data are intercepted or altered by hackers, that could lead to catastrophic consequences. In addition, self-driving cars need to be able to function safely in normal road traffic, and avoid accidents in any traffic situation. While recent accidents of autonomous cars include a fatal crash with a self-driving Tesla Model S, manufacturers claim that statistically autonomous cars are still far safer than vehicles controlled by tired or otherwise incapable human drivers. Ensuring this safety and reliability is a prerequisite that will enable self-driving cars to spread fast. The legal, regulatory, and technological impacts of this issue are manifold. 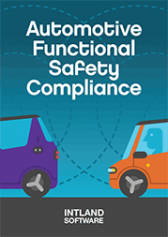 Regulatory bodies are working on new guidelines and standards to ensure the safety and data security of autonomous cars, while carmakers are doing their best to apply cutting edge technology in their products. Clarifying the question of responsibility is another issue ahead for lawmakers. Implementing the latest technology in sophisticated “system of systems” products such as modern cars just means even more complexity. Building bullet-proof (safe, reliable, and secure) software requires mature development processes, immense amounts of code, and thorough quality assurance activities. Controlling and monitoring all processes, tracing software development artifacts throughout the lifecycle, managing risks and quality assurance have always been difficult, but with such steeply increasing complexity, old processes and activities simply aren’t working any more. To keep pace with current, and to prepare for future trends in the development of automotive products while making sure they pass audits, regulatory inspections and compliance checks, developers and manufacturers are realizing they need to use controlled and mature processes throughout the product development lifecycle (and extend this to suppliers). Tools that enable them to do and monitor that are becoming valuable assets. Future-proofing hardware engineering, software development and product manufacturing processes is greatly supported by advanced PLM (Product Lifecycle Management) and ALM (Application Lifecycle Management) solutions, and tools that are able to connect ALM and PLM. Unifying these processes will be crucial for automotive developers ahead in order to be able to manage their products’ development in an integrated, centralized manner. Developers working on autonomous vehicles have to face various and increasingly complex challenges, and consequently need to reevaluate their current processes and toolsets. Integrated ALM and product development platforms such as codeBeamer ALM will be instrumental in modernizing development processes in order to tackle the challenges introduced by increasing product complexity, and the growing reliance of products on sophisticated software applications.